Carlos Rubio is an architect based in Madrid with more than 30 years of experience. In its origins he was partner with prestigious architects like Ignacio Vicens or César Ruiz-Larrea, and ended up founding his own company “R&AS” with Enrique Álvarez-Sala. They projected large scale projects such as the SyV Tower (PwC Tower nowadays) at the Real Madrid’s Antigua Ciudad Deportiva, the urban planning projects for the banks of the Manzanares River (Madrid Rio) after the underground redirection of the M30 Motorway, in collaboration with MRIO Architects or the Mahou – Vicente Calderón (stadium) Master Plan. In 2014 decided to set up “Rubio Arquitectura”. They are currently developing a Skyscraper of 400 meters high in Saudi Arabia, the new Market and Sports Complex in the Plaza de la Cebada in Madrid, Ventas Master Plan for Metro Madrid, among others. Carlos has obtained the following awards: a 2009 and 2011 COAM Distinction for architectural work, a 1989 COAM Architecture Award, the Obra Nueva (New building) Award from the Madrid City Hall in 1992 and 2006, the Basque-Navarra Architects’ Guild Award in 1999, the City of Alcalá de Henares Award for Architecture in 2003, Asprima Awards 2006, 2009 and 2010, and the 2006 Anthology award for Contemporary Architecture in Castilla-La Mancha. Additionally, they were selected for the 2004 Venice Architecture Biennial. They have also been selected for numerous national and international exhibitions, such as the Venice Architecture Biennale 2004 or the traveling exhibition “35 + Building Democracy: Social Spanish Architecture “. Their work has been published in the most prestigious national and international publications, such as (Domus, Casabella, Baumeister, The Architectural Review, The Sketch, Arquitectura Viva, On Design, Detail …). 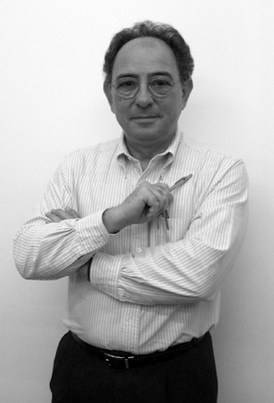 Member of the Board of Proffesors at the School of Architecture, in Francisco de Vitoria University, since 2008. Proffesor in ETSAUN (Pamplona School of Architecture) since 2013. Founder and member of Impulsa Madrid. Rubio Arquitectura colabora con las firmas de Ingeniería y Consultoría (Estructuras, Instalaciones, Iluminación, Diseño de Mobiliario…) más prestigiosas.